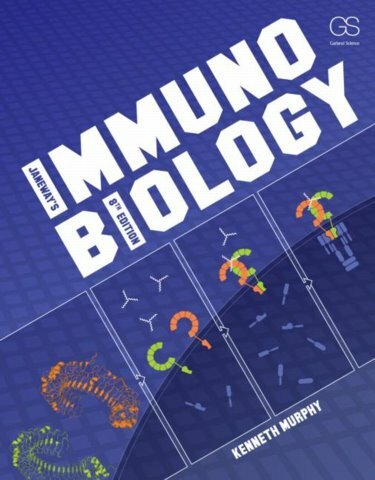 Abstract: Janeway's Immunobiology is a textbook that introduces the immune system in all its aspects to undergraduates, and also provides a treatment of the subject that is comprehensive enough to be useful to graduate students interested in research, and to medical students focused on clinical applications. The Eighth Edition has been thoroughly revised and updated and is available in both print and e-book formats....Discussion questions are provided at the end of Chapters 2 to 16. These questions can be used for review, or as the basis for discussion in class or in informal study groups. Summaries conclude each section and each chapter. As in previous editions, a caduceus icon in the margins indicates topics which are correlated to Case Studies in Immunology, Sixth Edition by Geha and Notarangelo.